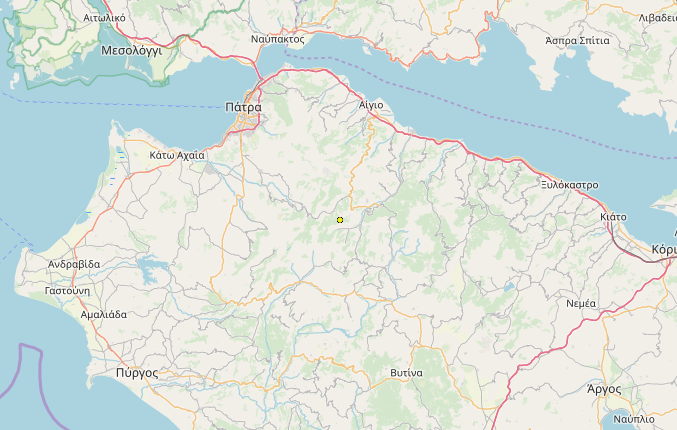 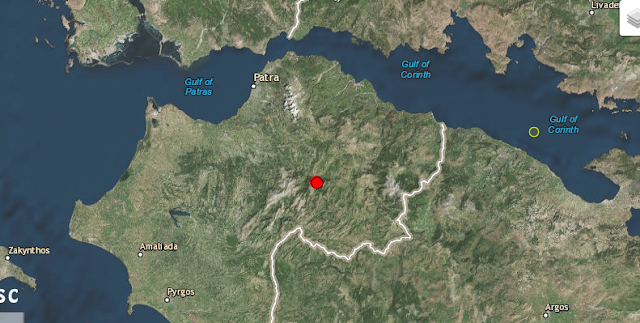 A small 4.1R earthquake has been reported in Achaia Greece, at the location shown in the top map. The map below shows the location of our prediction. Not bad at all.